You can either print it out into a booklet to write in or use it electronically on your computer. 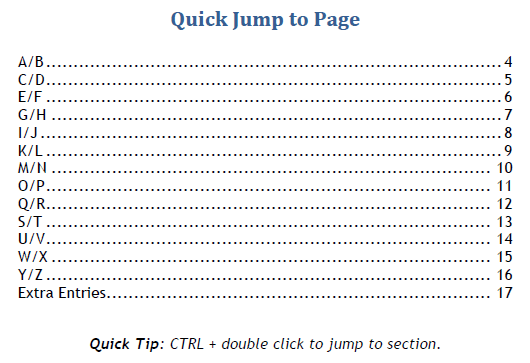 I even included a hyperlinked table of contents so you can jump right to the section you need. Hi Tish 🙂 So glad you found it useful! I still use mine and it helps keep me very organized. Since I print mine out I can just print out a page at a time to add to my book. It’s been quite awhile since I put this together so I’m not sure how to do it digitally. 9 1/4 x 7 1/4 three-ring binder when I found your free printouts. Since my notebook is smaller than normal, it was not an option to make the holes with a 3-hole punch – those are sized for normal sheets. So after I cut the pages to fit using my paper cutter, I then punched holes in one of the pages, put reinforcement labels around the holes and used that as my template to mark the others pages. I wanted to be sure all the holes were in the same place on each page. Try to use only pencil if you can keep a designated pencil and eraser with the book it might keep you from grabbing a pen when you’re in a rush. I learned that the hard way! haha! 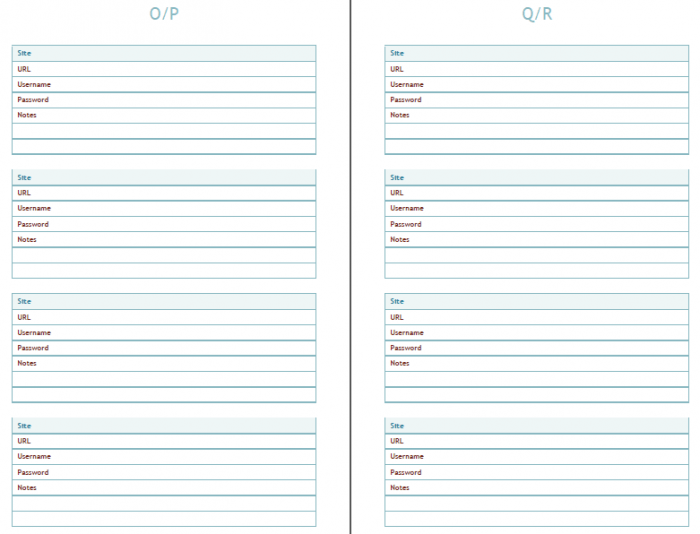 Another thing that might help others: I had trouble trying to print these out using my Firefox browser – it would print over to the left of the page. So I switched back to Safari (Apple’s browser) and it printed out fine. So, thank you, Petals to Picots, for making and posting this and making it free! I love your Password Book and have been using it. I even mentioned it in my Blog. Nice idea, but this is the worst way to save these important informations. This is such a useful resource! Thank you for sharing! One question – is there a way to change it so that it prints one page on an 81/2 by 11? I would like to keep mine in a 3 ring binder. Just found this now. I can’t tell you how much I appreciate this. I have passwords scribbled all over the place. Oh to have them all in one place!! Thank you. We featured you on the Project Stash! Yay!! Thanks so much, Marilyn! Fantastic, you little organizational freak! I love your site and everything about it, but the way it’s organized is so user-easy. Thanks for yet another great tool. Thank you, thank you, THANK YOU!! I keep mine unorganized in an excel folder and just the other day when I went in to make some changes I thought I REALLY need to have an more organized file!! So you’ve done the work for me!! I can definitely use this. Right now, I have them all on stickies on my computer and I have to search for them every time. 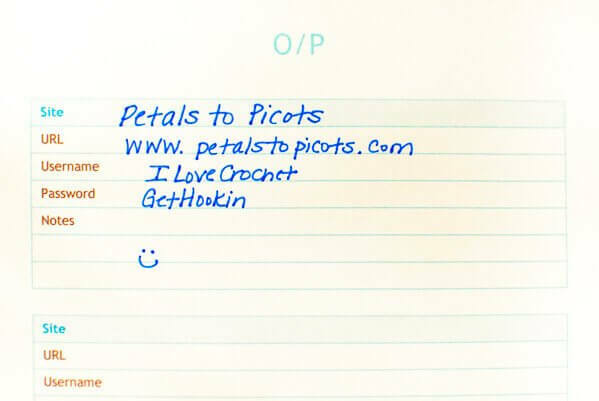 But more than that, I LOVE crochet so I’m so happy I found your site! Are you serious? Not a good idea at all! Never write your passwords down, guys! Then how do you suggest people remember passwords to several different sites? It’s way too time consuming to reset them every time and it’s even more unsafe to make all your passwords the same. If you keep it at home, in a safe spot, it should be fine. Great idea! 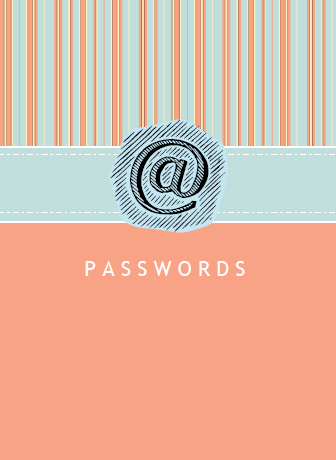 I know it’s totally against the password rules, but I don’t know anyone who can keep all these in their head! At work, we used to have to change our main password every 90 days, and they couldn’t resemble our last 12 passwords or something. This is great and especially since I’m having to change all my passwords with the recent Heartbleed virus, this will be super helpful! So glad you find it helpful, Emily! Thanks for this excellent idea. I seem to spend half my time punching in different name and password combinations while cursing to myself when it tells me I’ve got it wrong again. This is very nice, and much appreciated, but I want to point out that it isn’t safe to store a document like this on your computer unless you know how to protect it massively. It’s much safer to use an app like Last Pass, which is free, and stores your passwords for you. There are others too. Good point about storing storing them on the computer itself, Gillian! I actually printed it out and use it to write passwords on. I have never tried a password app but they make me nervous … maybe someday. Hehe … so glad you like it! this is seriously awesome! I need to get better about changing my passwords (got hacked big time a month ago) but i struggle to keep track of them all–and then the piece of paper I wrote them on! Soooo using this! So happy it will be a help to you. I know what you mean! Kara, I am a recent subscriber to your newsletter and an avid crocheter. I just love your newsletter. You have the coolest things on it as is proof of this password book. Thanks so much for such a useful tool. I totally love this! Do you have one like it but an address book? I love that it is on my computer and I don’t have to print it! AMAZING! thank you! this will be very handy, exactly what I have been needing.